This might be a girl thing, where the daughter ransacks her mother's wardrobe or jewellery box or makeup box or shoe stack and never returns the goods that she discovers. 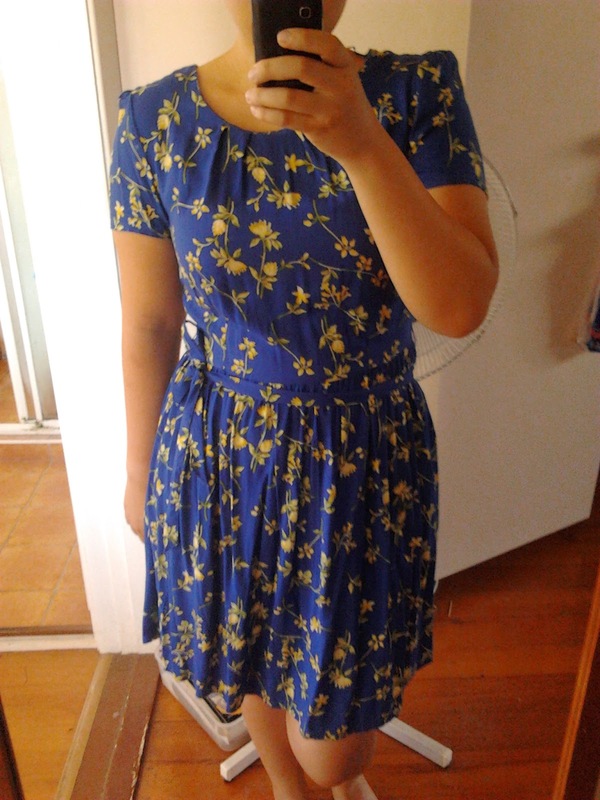 So I was 'digging' through my mother's wardrobe, as any good girl does, and I saw the blue dress pictured above. I instantly fell in love with it. I have absolutely no recollection of my mother ever wearing that dress before, so I guess it's all green for "borrowing" that dress from mum's wardrobe. As with all things "borrowed" from mum, the chance of her ever seeing the dress again in her closest is < 1%. I pride myself in being such an awesome daughter.